UNITED NATIONS (Sputnik) - US President Donald Trump ahead of a bilateral meeting with South Korean President Moon Jae-in on Monday told reporters that there will be a second summit between the United States and North Korea in a similar format as the first, but the location has not been determined yet. "It will be between North Korea and the United States, so it will be similar to the format we had before, most likely a different location. Again, it will be announced very soon," Trump told reporters. Earlier on Monday, US Secretary of State Mike Pompeo said he would be traveling to Pyongyang before the end of the year to work on final preparations for the summit. 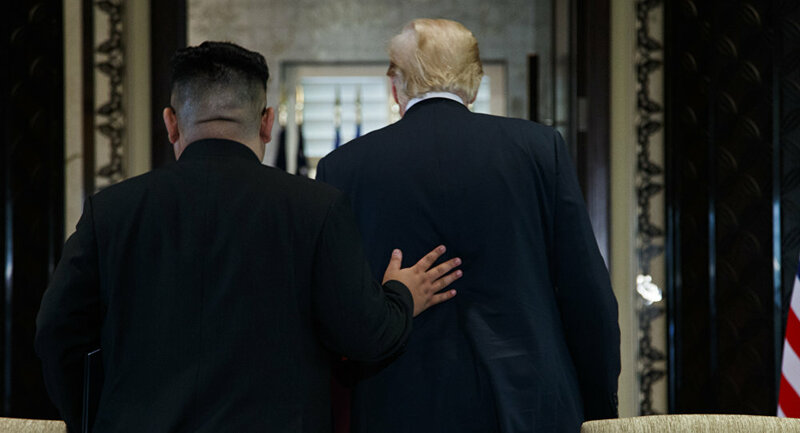 In June, Trump and Kim held a summit in Singapore during which the North Korean leader expressed his country’s commitment to abandon its nuclear weapons program, while the United States pledged to provide security guarantees and freeze joint military exercises with South Korea.